His words of wisdom are especially relevant today. 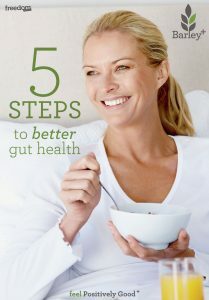 Modern research continues to affirm that gut health is critical to general health. In fact, the gut is being referred to as our ‘second brain’. In this way, our digestive system is at the center of our wellbeing and is involved in many vital processes. Poor digestive health can affect anyone, so maintaining a healthy gut is important as a means of helping reduce the risk digestive dysfunction, constipation and other poor health outcomes that can start in the gut.